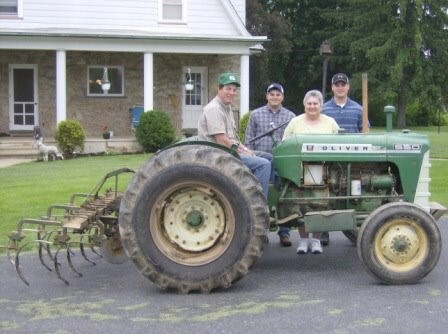 Established in 1939, Twin Maple Farms in Bath PA is a third and fourth generation potato, vegetable, and grain farm owned and operated by the Hunsicker family. Garry Hunsicker’s mission is to preserve the farm in memory of his grandfather Earl, his father Ray, and their families. Without their foresight, hard work, and perseverance Twin Maple Farms would not have survived, and Garry and his family continue to do so by keeping Twin Maple Farms a self-sustaining farm through hard work, modern farm practices, and quality products. Visit Twin Maple’s stand at the Easton Farmers Market on the south side of the Circle during sweet corn season. The Hunsicker family offers freshly picked, non-GMO sweet corn and potatoes that are grown less than 12 miles from the market. Click here to view Twin Maple’s website and learn more about their farm.